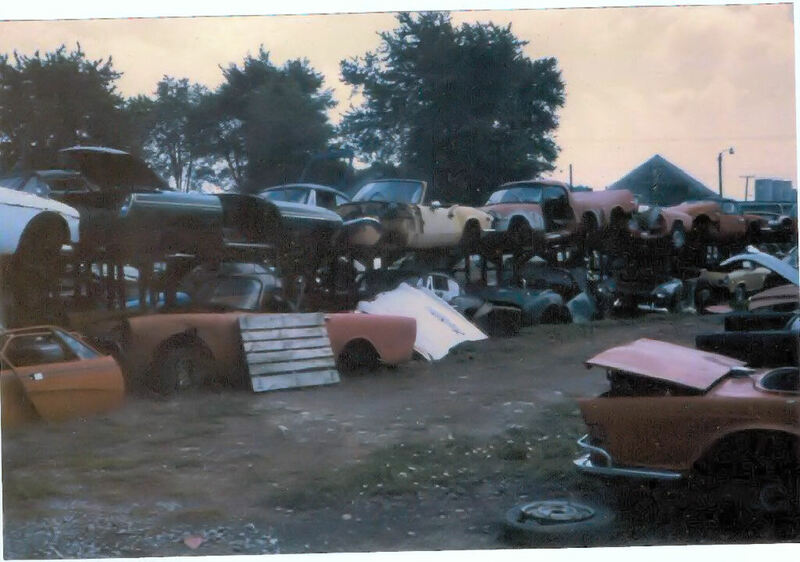 Over the history of TS Imported, we've always had a supply of cars that were not able to be restored, but yet stil had valuable parts. 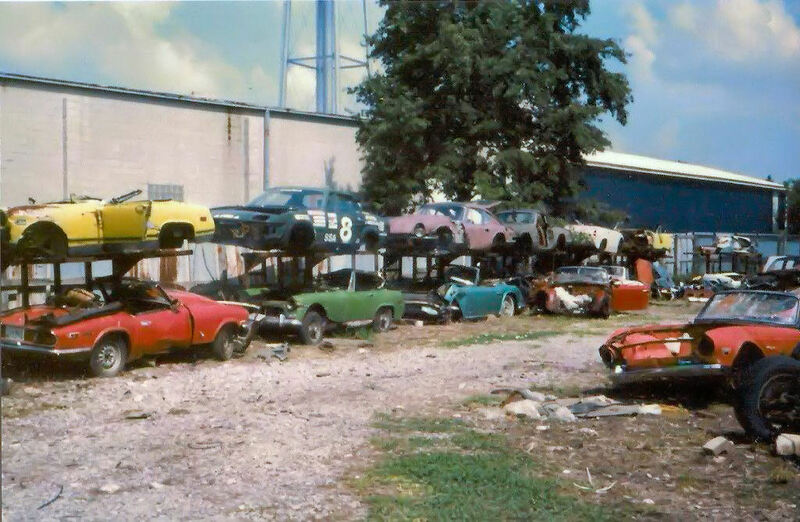 These cars have been traditionally stored in our salvage yard. 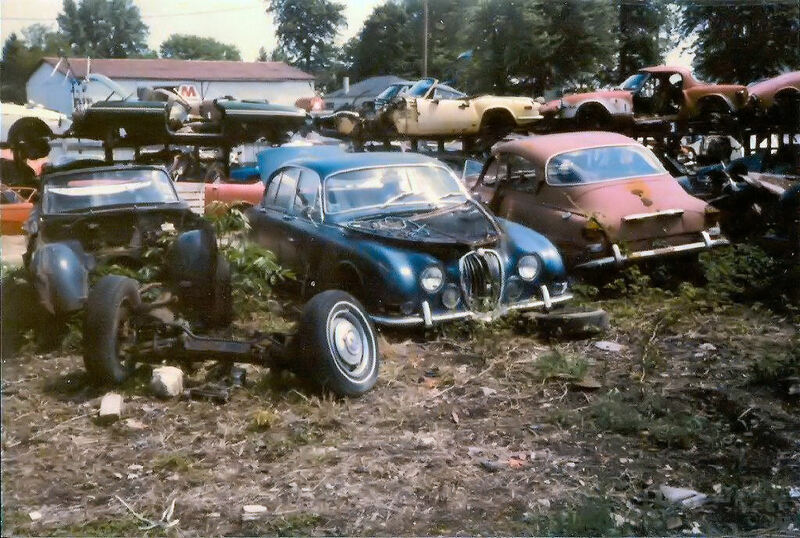 These cars can supply 'gently used' parts or in some cases a very difficult to source part for your restoration. 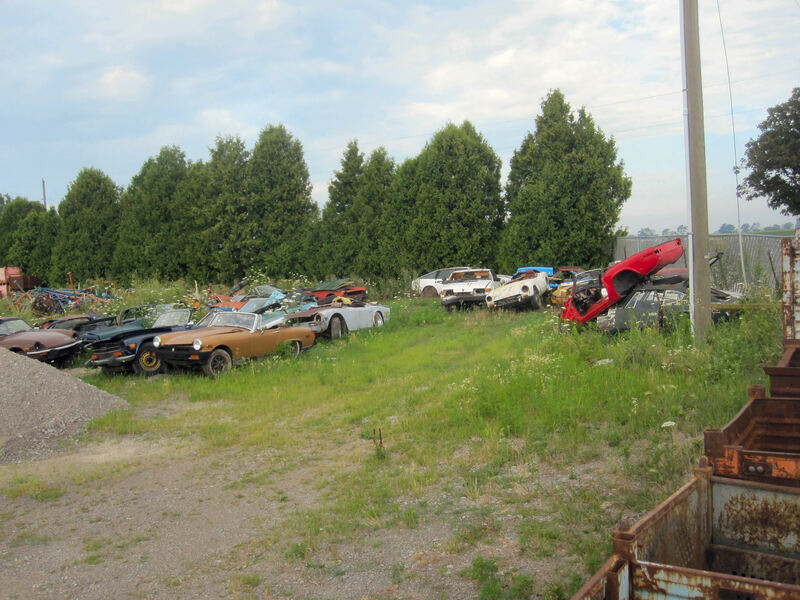 Below are some of the many cars that have passed through our storage facility. 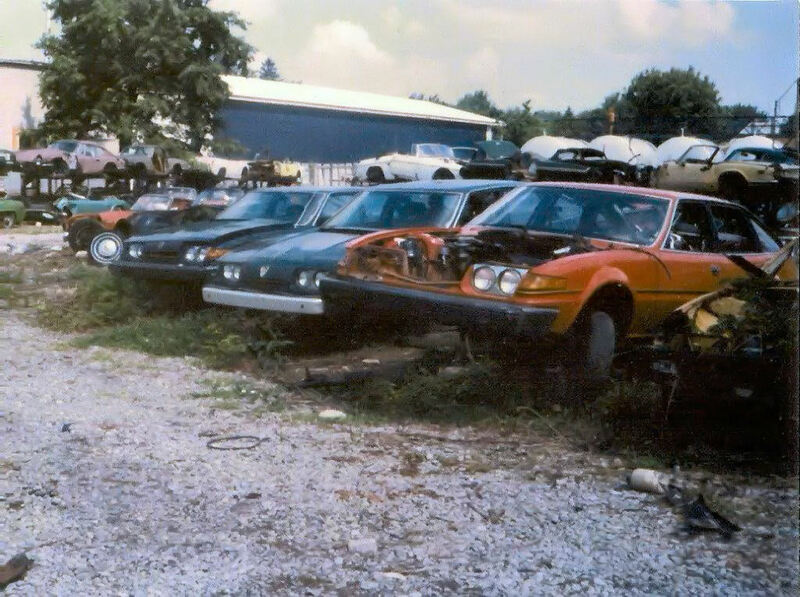 Finally at the bottom of the page are some more recent photos. 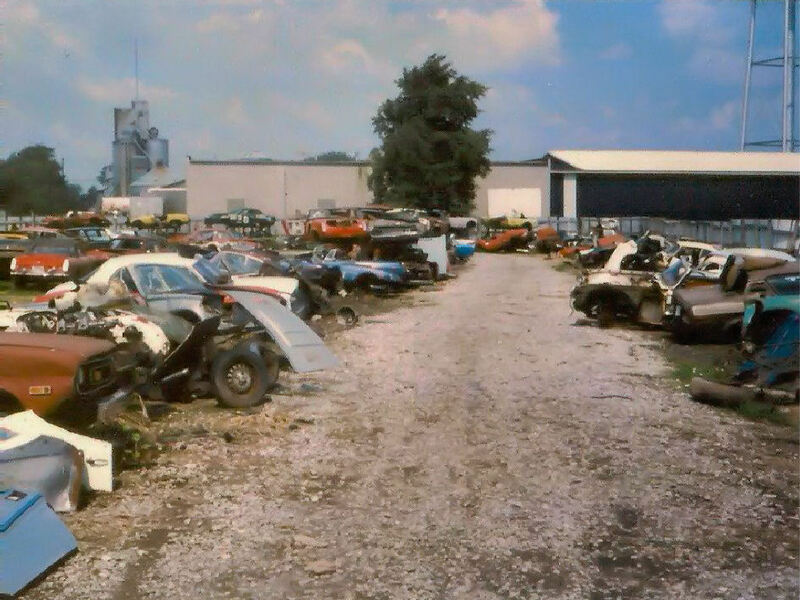 Though we don't have as many diamons in the rough as we used to, there are still 30-50 cars on hand at any given time. 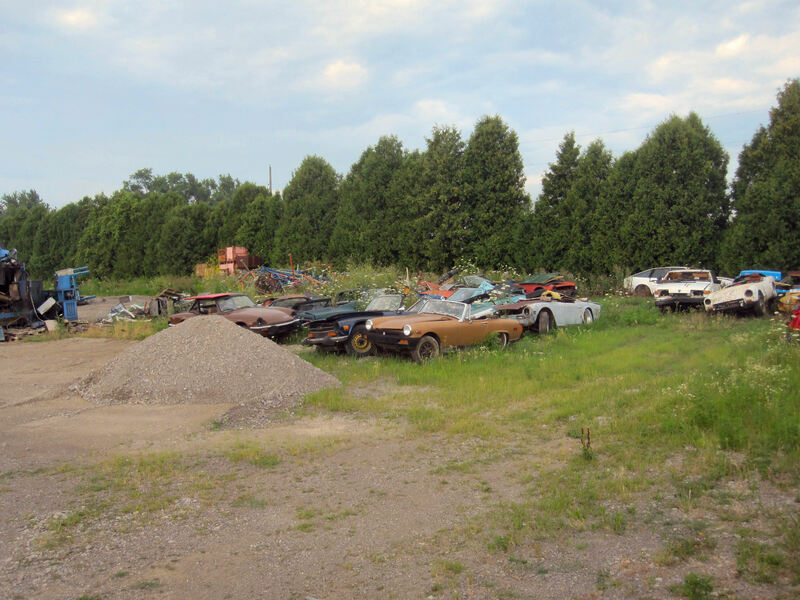 Click on any image to see a much larger version, and see what treasures you can spot! 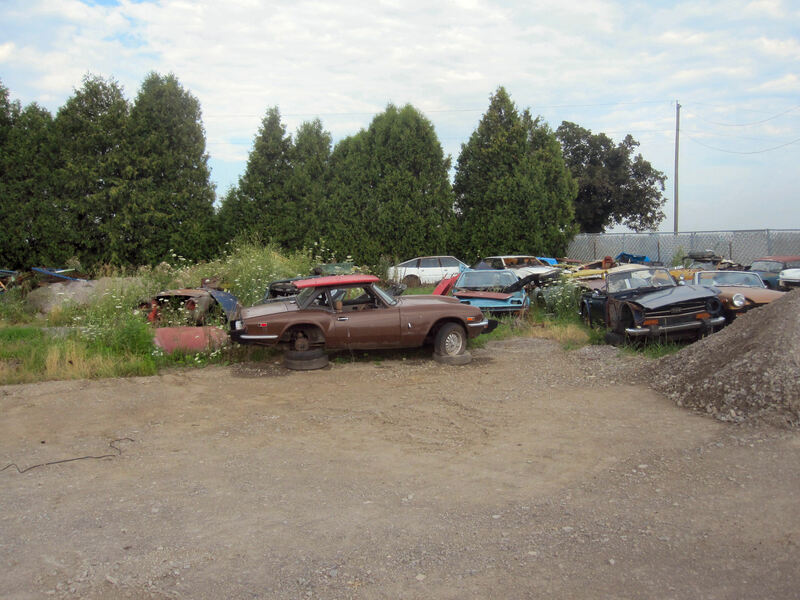 Amongst them all, a lone TR7 door A more recent photo, some newer treasures! A slightly different view, with more surprises. A nice Spitfire hardtop protected from the elements.